The room had been modernized and the king size bed was comfortable. The room was kind of small, especially the shower/bathroom. On the negative side, we could hear the people talking in the room next to us! So you're pondering a getaway to Tecopa? If you want a place to hang your hat that's located near some Tecopa attractions, just go to Orbitz, choose your travel dates, and voilà! Review the list of hotels and other accommodations to identify those that are close to what you want to see. 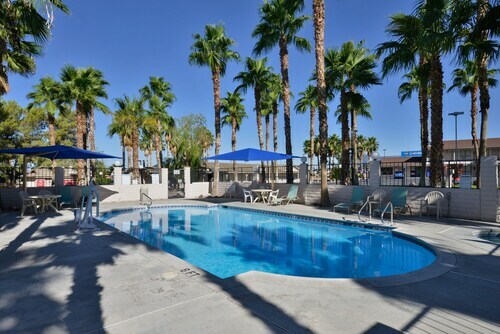 You may not find the perfect place to stay in the heart of Tecopa, but you can choose from 22 accommodations nearby. Search by filters such as price, neighborhood, guest rating, or popular locations, depending on what's most important to you. 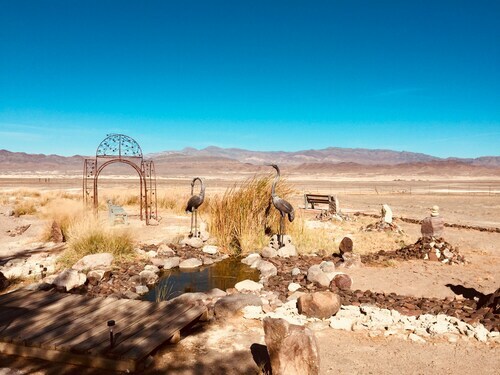 There may be a limited number of hotels and accommodations to choose from in Tecopa, but here are more options located nearby so you have some choices. What's the Weather Like in Tecopa?